Back in 2007 I moved from China to Hiroshima, Japan to pursue a graduate degree. It was the first time I had lived away from my parents. I was alone, always busy with my studies, and couldn’t afford to eat in a restaurant. I had to cook to survive but didn’t know how. I remember the first dish I cooked was an open-faced sandwich of sliced sausage, cheese, and toast. It tasted so good so I had that same dish as my breakfast for months. Of course I didn’t survive exclusively on sandwiches. 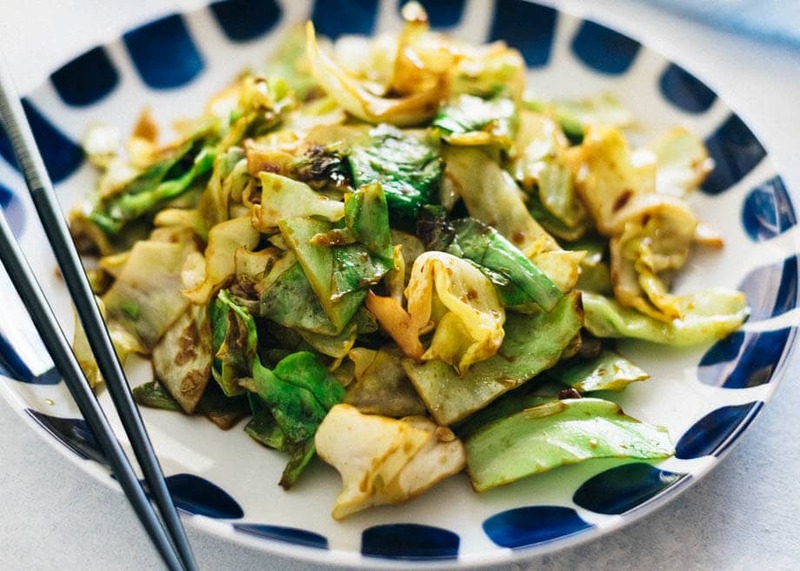 I called my mom and asked her how to make my favorite stir fried cabbage dish. It sounds super simple right? Well, the cooking was a disaster. First of all, I didn’t have a wok. All I had was a beat-up 10” nonstick shallow pan that I had inherited a recent graduate. I splashed food everywhere. Second, I had no idea what the right amounts were. The dish turned out super salty and tasted like pure soy sauce. Third, something was off but I couldn’t tell what. The dish just did not taste like home! After a few months, a discovery at the supermarket saved my life. I found a brand of mapo tofu sauce that was so addictive that I started to cook it a few times a week. What stuck in my mind the most wasn’t just the great flavor of the sauce, but the detailed instructions on the back of the orange colored box. They told me exactly how much ground chicken and tofu I should buy, how a touch of herbs could enhance the flavor dramatically, when to add the sauce, how long to cook it, and how to add more vegetables into the mapo tofu if I wanted a one-pot meal. It made cooking seem so easy. There wasn’t any guess work. And the results were awesome. I was so happy that I could finally cook something delicious that tasted as good as something from a Chinese restaurant. 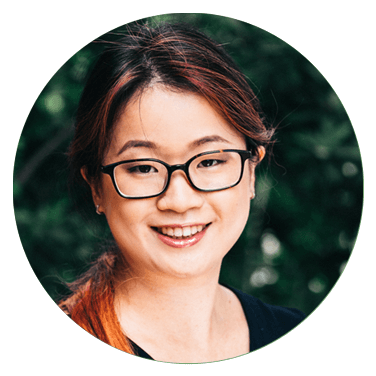 I started my blog Omnivore’s Cookbook in 2013 to help home cooks make better Chinese food. I use the instructional style I learned in Japan, because I know how frustrating it can be to learn to cook a new cuisine. Especially if you want to learn to cook dishes that you’ve never tasted before. I moved from China to the US in 2015, and that was when I started to learn more about American Chinese food and focus more on creating delicious Chinese food using limited resources - such as an electric stove and many types of local produce that I’d never seen in China. One day my reader Robert S.
It suddenly brought back all the nostalgic memories of my favorite mapo sauce and how it made cooking so easy. A simple question turned into a long email chain, then a series of blog posts on stir fry sauces. And now - a Chinese Stir Fry Sauce Cookbook, where I show you all the secrets to cooking real-deal Chinese food that is healthier and tastier than takeout. Over the years I’ve received hundreds of questions from my readers, sharing their biggest struggles when it comes to Chinese cooking. Here are some common misunderstandings. Myth 1: I need a wok and powerful gas stove to cook a good stir fry. Most Chinese cookbooks tell you to get a wok and a gas stove first, as a standard setup. There might be the line that “you can use a wok on a electric stove too, just make sure to heat it up very hot” printed in a small font at the end of the recipe. It never works. I know that because I cook on an electric stove in my kitchen. I cook all my stir fries with a large skillet, and it produces great tasting stir fry dishes that are no less delicious than those made in a wok. Phrases like “fast cooking in hot oil with a high flame” and “pan tossing” still sound intimidating to me, even after cooking Chinese food for 10 years. It will set off your fire alarm every time. If you want to become a chef in a Chinese restaurant, then, yes, you do need to learn these skills. But they’re not practical for every home cook. First of all, you don’t really have the equipment to use these skills. Second, you don’t need them to make delicious Chinese food. • Washing a dozen dishes and several pans afterward. You don’t have time for this on a weekday evening. I don’t either. Yes, there are some “easy takeout style” recipes out there that look easy enough. However, the recipes often contain 1 cup (12 tablespoons) of sugar in a stir fry dish for two. Back in China we rarely add more than 1 tablespoon of sugar to a dish. Even a sweet and sour sauce (the sweetest sauce we have) couldn’t possibly use an entire cup of sugar. If I really wanted to eat that much sugar in one sitting, I might as well just skip dinner and go straight to dessert. Here is the good news - I have written a book about Chinese Stir Fry Sauce to show you the easiest way to cook Chinese food that tastes better than takeout, without using a wok. 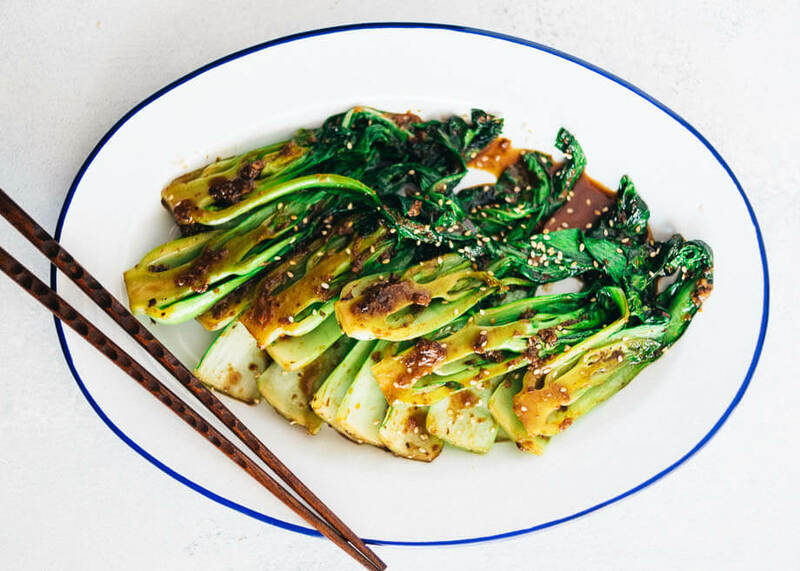 The Chinese Stir Fry Sauce Cookbook includes 9 sauces and 41 easy recipes to help you cook real-deal Chinese food that tastes better than takeout. My recipes are short and fast - 16 recipes require less than 20 minutes to put together. 21 recipes call for 6 ingredients or less. If you’re too busy to cook, this book will help you put dinner together in no time. All the sauces can be pre-made, frozen, and used later without worrying about how to deal with leftover sauce. If you’re into meal planning, each sauce allows you to cook 5+ servings and a batch will last you throughout the week. Each recipe comes with precise instructions with a photo of the finished dish to show you exactly how it should look. No more guess work, even if you’ve never heard of the dish before. Too tired to pull out your skillet and whip up a stir fry dish? No problem! You will also learn how to use the sauces to bake, steam, and cook food in a slow cooker, so you’ll have more versatile and hands-off options. Ingredient charts and basic stir fry formulas are provided. They allow you to mix, match, and start to create your own recipes. Page layout and fonts are optimized for your phone, so it’s extra easy to browse recipes on a small screen. No more fumbling with your phone to zoom in and out while chopping peppers! Fully indexed Table of Contents, so you can jump to each recipe with one click. One-column ingredient list and instructions that are easy on your eyes. “Jump to top” button on each page, so you can return to the table of contents at any time without scrolling forever. Simple and clean design for quick browsing. I cover 10 essential Chinese ingredients, what brands to buy, and where to buy them. Once you get them, you can make every single dish in this book without making another trip to an Asian market. Here, I reveal the secrets of stir fry equipment, and you will learn why you don’t need a wok and powerful gas stove to cook great tasting stir fry dishes. How to use pre-made sauces to speed up stir-fry workflow, cutting the prep and cooking time in half for an average stir fry, while maintaining delicious flavor. Includes 8 sauce recipes. Each chapter begins with a sauce recipe and is followed by 3 dishes to teach you how to use the sauce. Introduces 5 great side dish recipes to go with the main course, and they’re not just white rice! Answers all your questions about storage and reheating, plus other common questions you may have about cooking stir fry dishes. 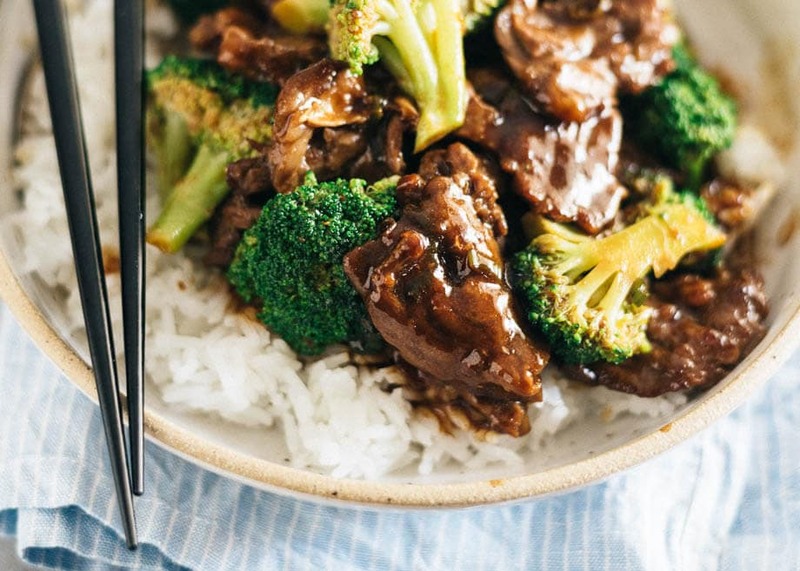 A 157-page E-cookbook that guides you through the basic Chinese ingredients, cooking equipment and stir fry workflow, to help you cook Chinese food like a pro! Nine popular Chinese sauces. You’ll learn how to cook, store, and reheat them. 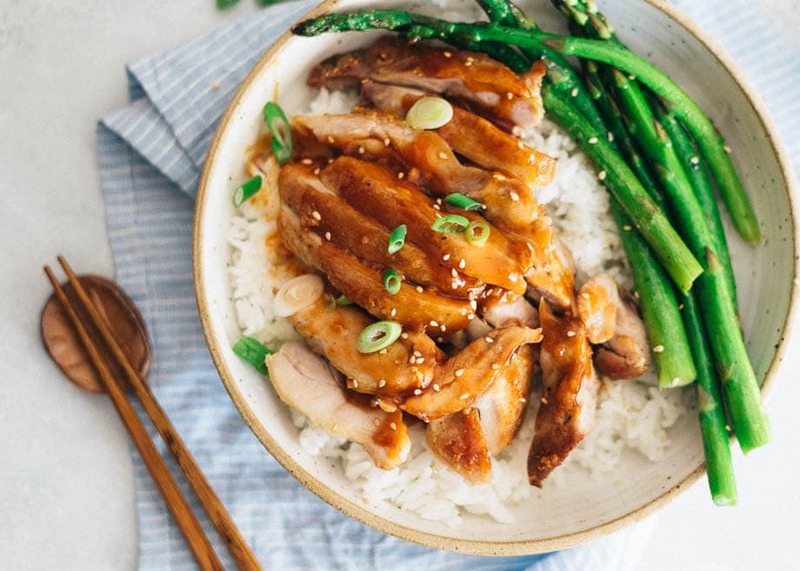 Forty-one easy recipes that are practical to cook in your kitchen, without purchasing a wok. More tips on ingredient substitution without affecting the taste of the dish, and how to customize recipes to gluten-free and vegan diet. Mobile friendly book design that allows you to jump between chapters and browse recipes in one click. refund where you’ll get 100% of your money back and keep the book. Maggie, I just found this recipe and after trying many others it’s THIS one that brings the real deal!!! Love that there’s no cornstarch and no stock. It looks, smells, and tastes AMAZING!!! I used a thumb of ginger as well throwing in the 6 dried chilis in the oil until blackened then removed. I can’t imagine this without either as they really add to the aroma, flavor, complexity and umami your recipe brings. It’s my now and forever go to black bean paste, thank you SO much for sharing, you are obviously have brilliant culinary taste and will be looking for more of your recipes! Maggie, this sauce was *marvelous*! I dried the peels from the mandarin oranges that’re in season right now (I always eat them this time of year like they’re going out of style) and used them when I made it. Dinner tonight was so quick to make since the sauce was already done! Made this sauce yesterday: terrific! With a chicken defrosted on the counter we had your orange chicken for dinner: fantastic outcome and indeed better than the neighborhood take-out. With a side of stir-fried brussel sprouts and rice we had happy dinner campers all the way around. And yes, no huge amount of oil to deal with: a great bonus. 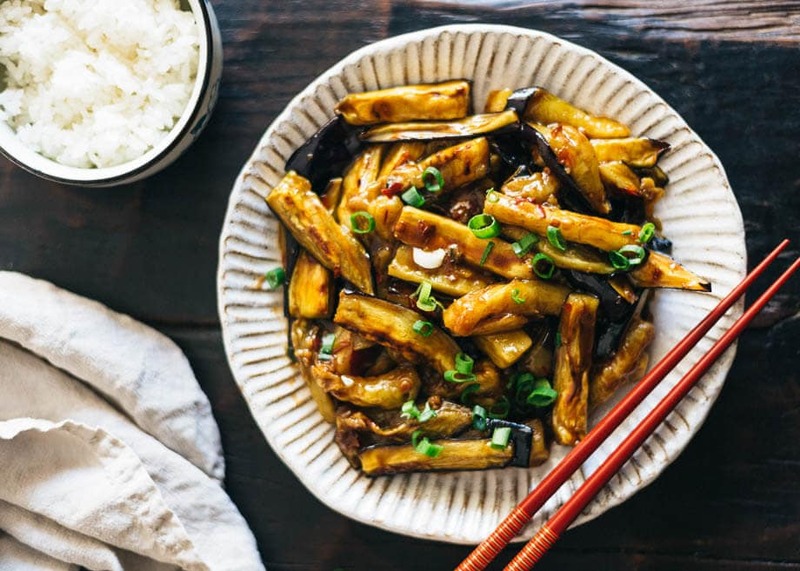 Do you love Chinese food but don’t know how to cook it? 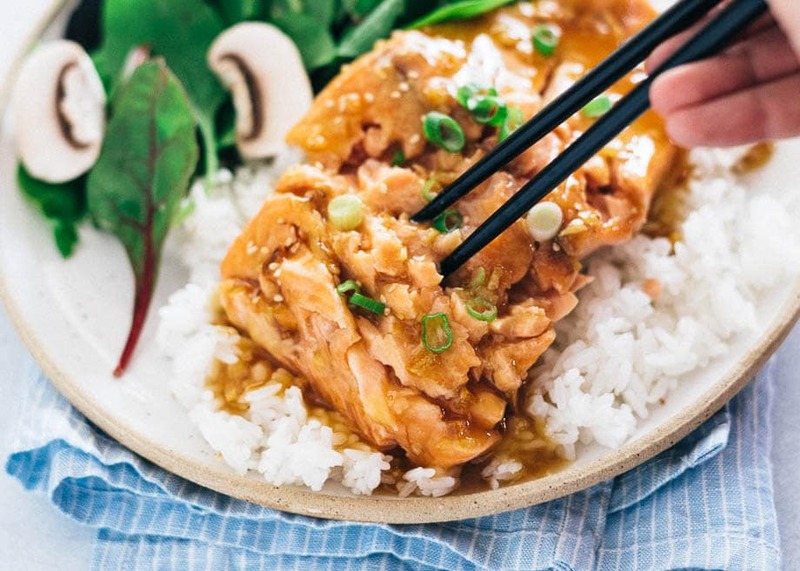 Do you want to get that takeout or Chinese restaurant taste at home? Do you want to whip up delicious dinners with minimum stress? Do you want to get your kids to eat more veggies without protest? Do you want to explore a new cuisine but are not sure where to start? ...I believe The Chinese Stir Fry Sauce Cookbook is PERFECT for you. You want to learn how to perfect your wok skills. As I mentioned above, you can cook all the stir fry recipes in this book using a wok, however the book is designed for a skillet and does not discuss wok cooking techniques. Do I need to run to a special store to get the ingredients to cook the recipes from this book? I introduced nine essential Chinese ingredients in the book, and shared detailed information on how to source them, and which brand to purchase. You can find them by making one trip to an Asian grocery store, or you can also easily order them online. Will the book work for me if I follow a gluten-free diet? Although I did not design this book to fit any specific dietary needs, I have included various tips and tricks to convert dishes to suit gluten-free requirements. You will come across one sauce recipe that produces a different taste if you use gluten-free alternatives. But you can convert the majority of the recipes in this book into gluten-free dishes without any problem. Will the book work for me if I’m vegetarian or vegan? Although I did not design this book to fit any specific dietary needs, I have included various tips and tricks to convert a dish to suit vegetarian and vegan requirements. All the sauce recipes are either vegan or vegan adaptable. In almost every sauce chapter I give an example of how to use the sauce to cook a vegetarian dish. So I believe you will still learn a lot from the book even if you cannot cook every recipe. However, do note that the book contains a lot of meat and seafood recipes as well. May I use the book on a tablet or a laptop? Yes! The book will look awesome on your tablet, laptop, or desktop. Do you sell a printed book? I want to gift it to a friend. How should I do it? Click the “Buy” button and proceed to checkout. Once you receive the confirmation email, simply forward it to your friend without downloading the content, then your friend will be able download the book without any problem. Secure Order Form - 100% Protected & Safe with a 30-day money back guarantee.